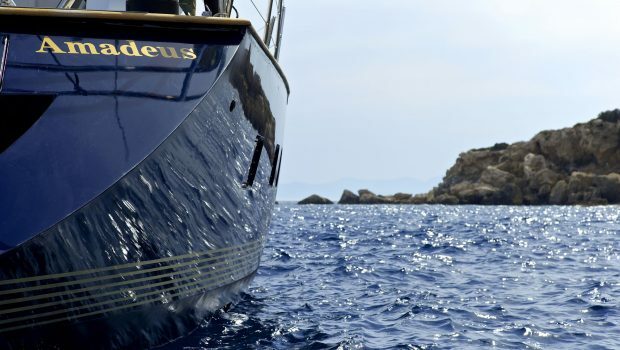 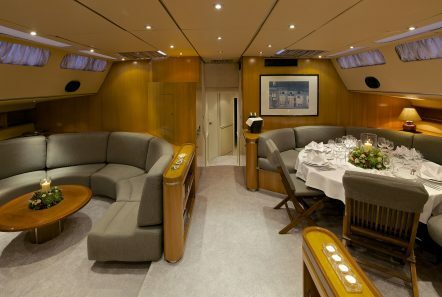 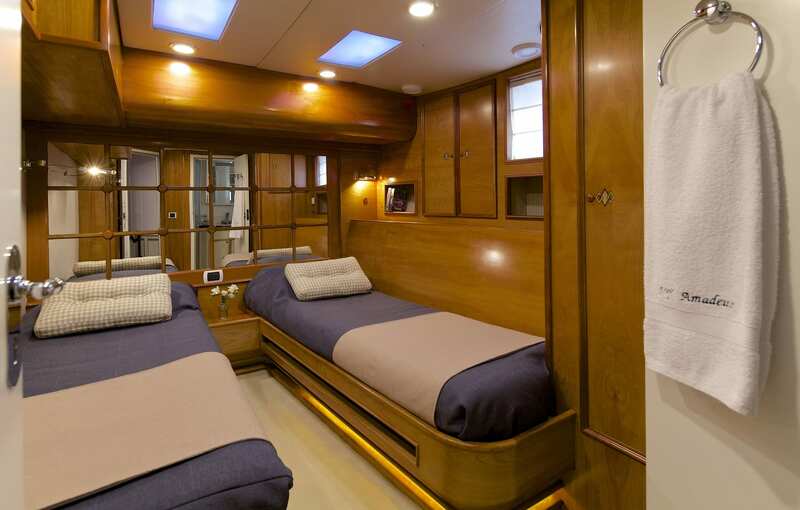 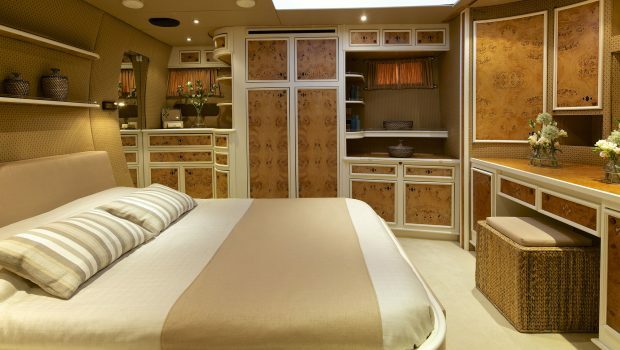 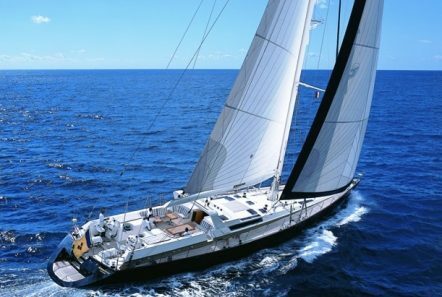 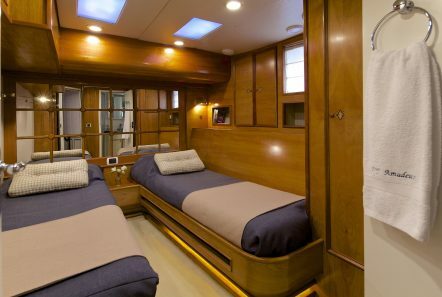 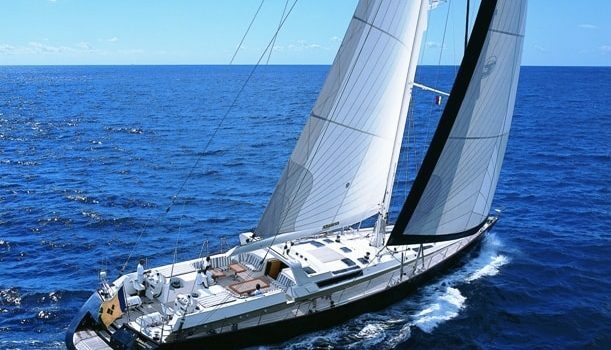 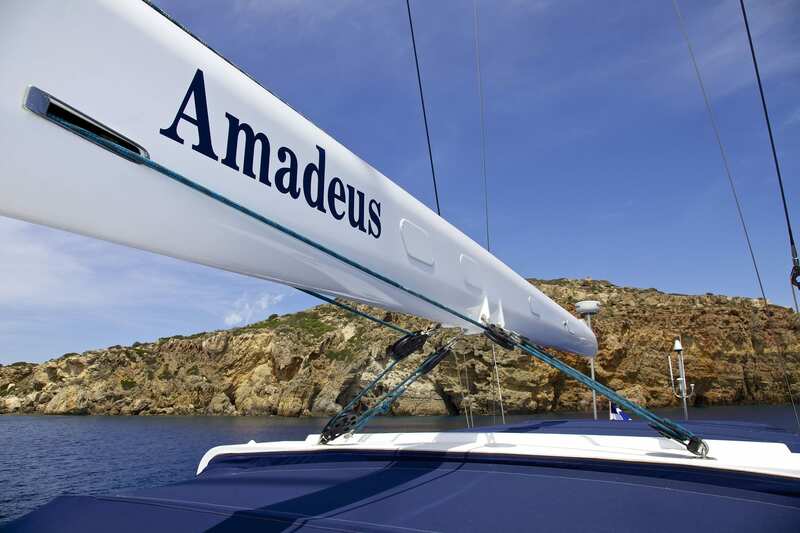 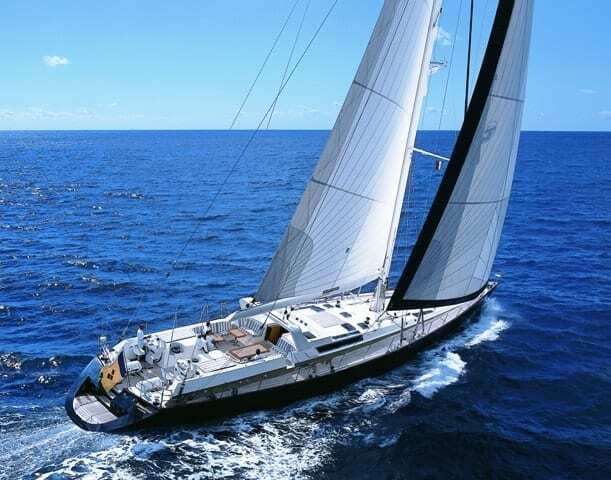 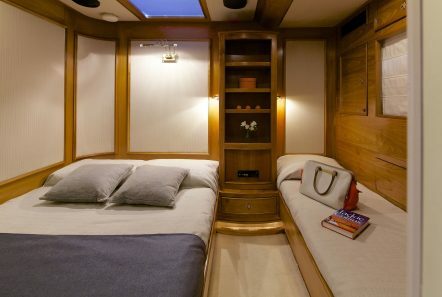 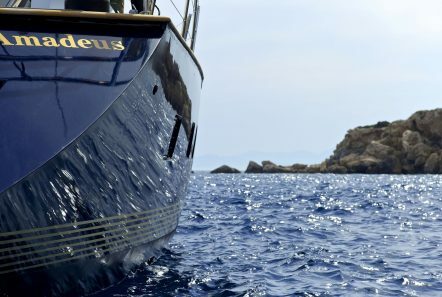 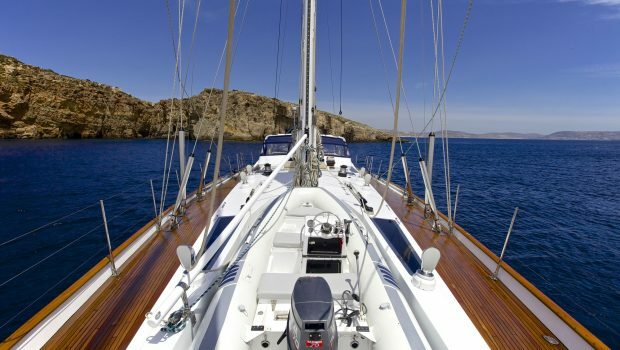 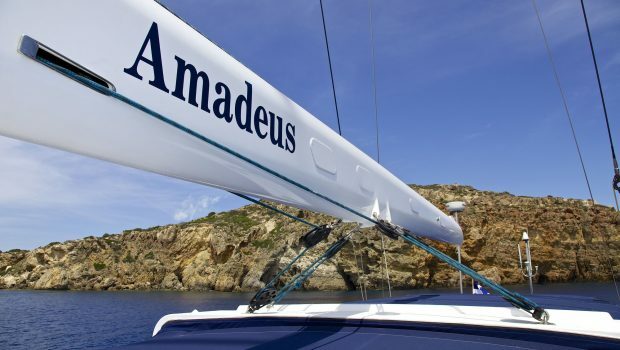 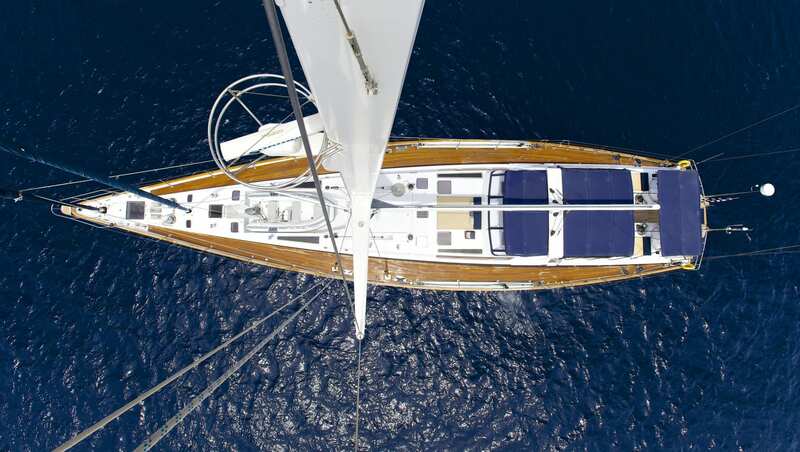 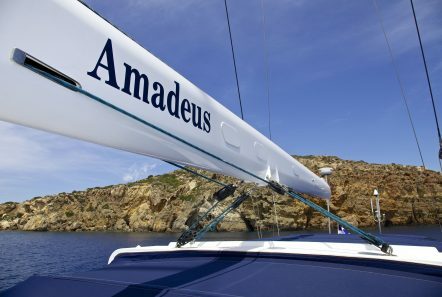 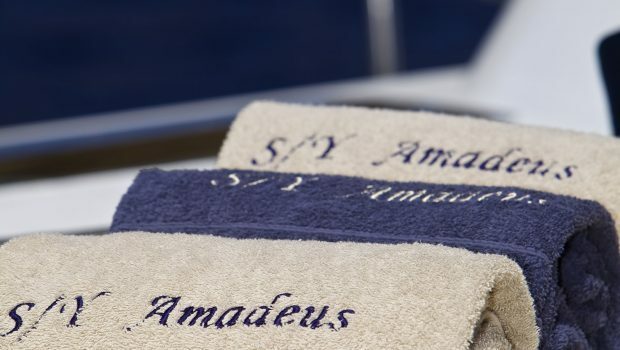 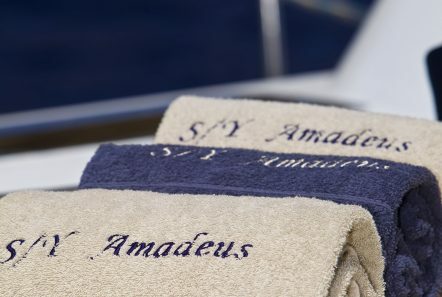 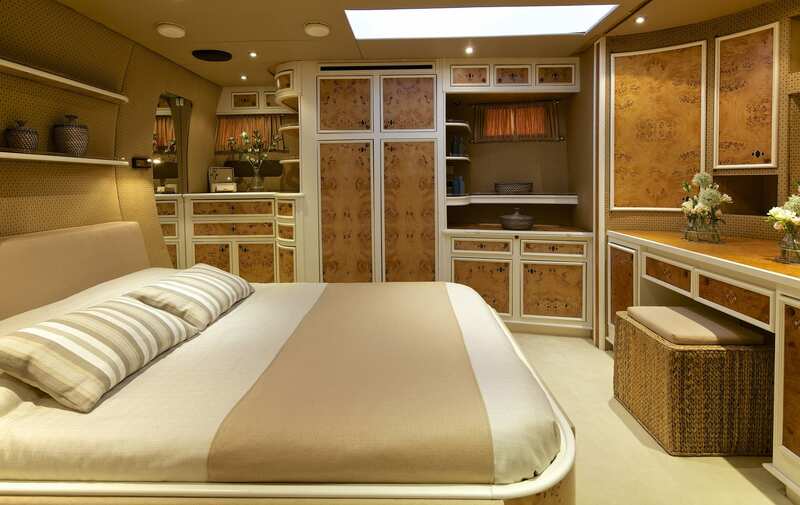 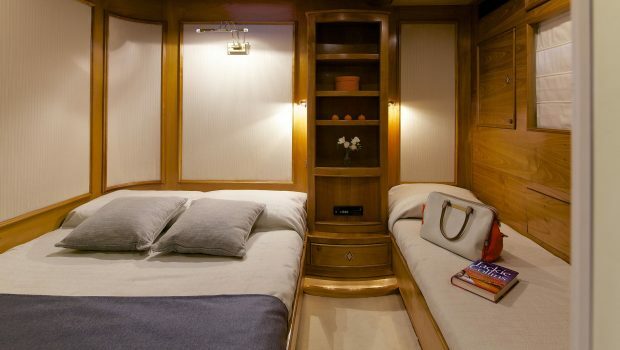 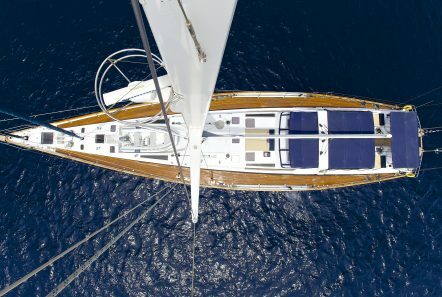 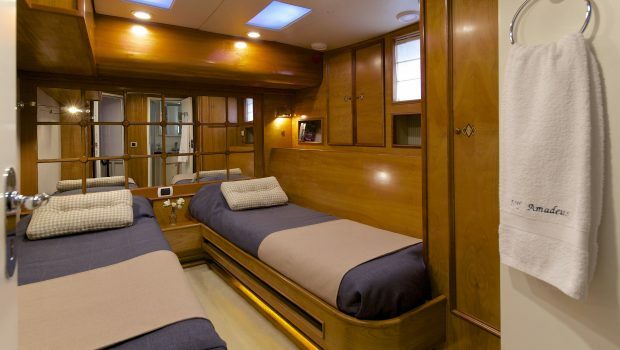 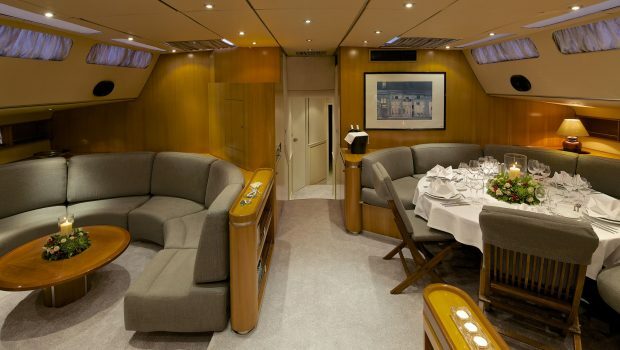 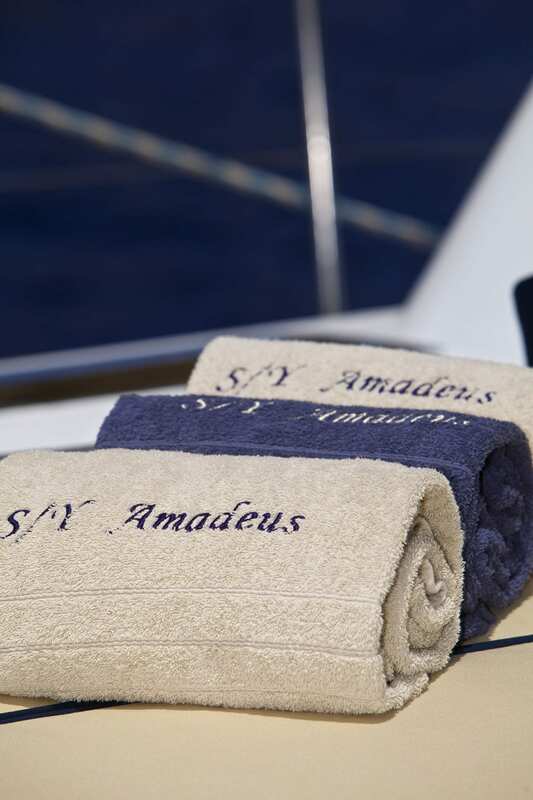 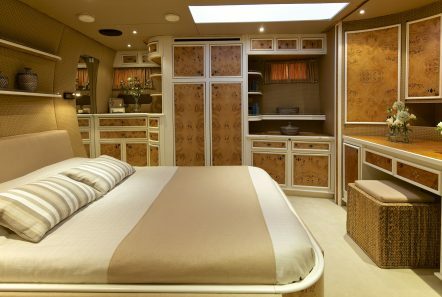 AMADEUS is a 110-foot sailing yacht that can accommodate ten to twelve passengers in five staterooms as follows: a spacious Owner’s stateroom with a double bed, a vanity and an entertainment unit including TV, DVD and music system; two cabins with a double bed and an additional single bed; two cabins with two twin beds each. 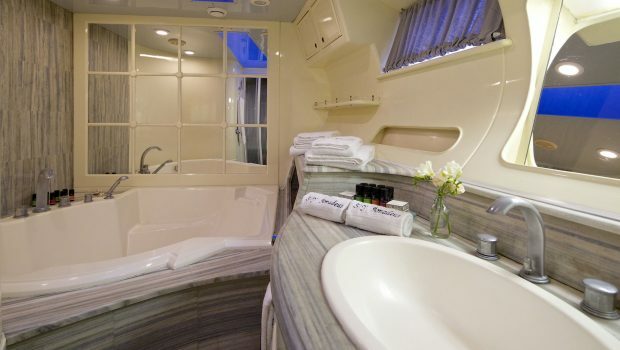 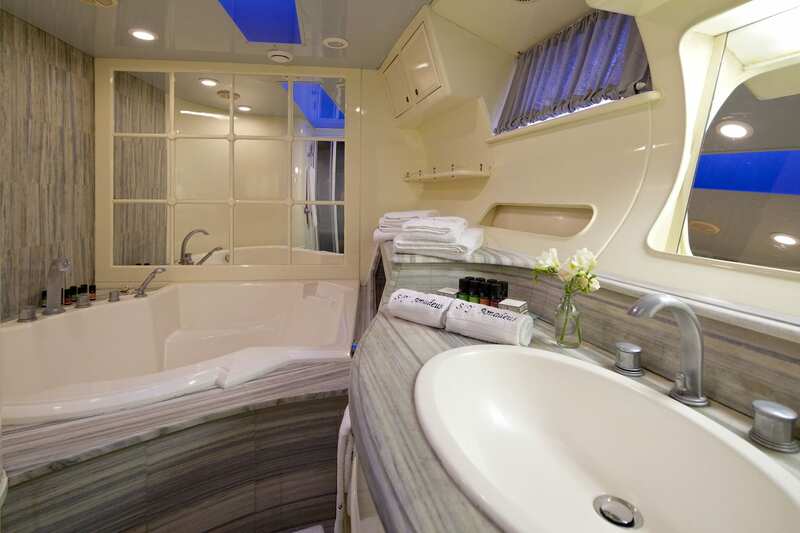 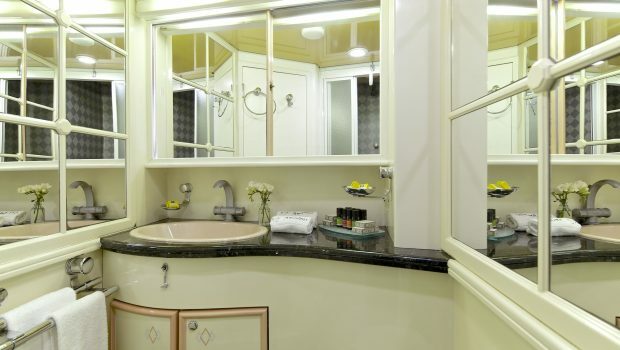 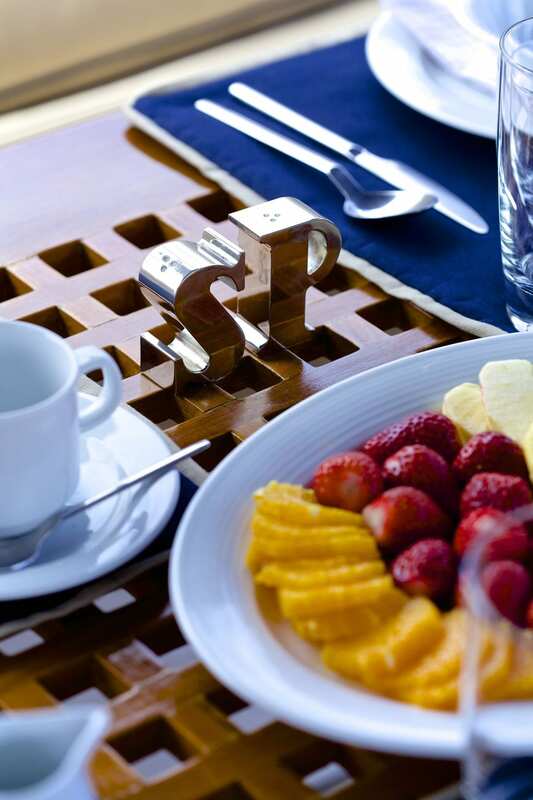 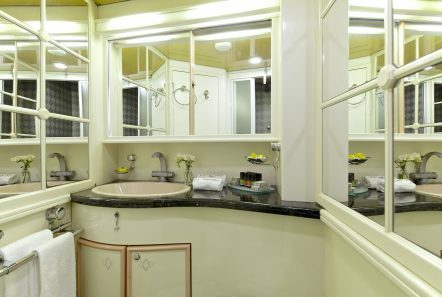 All staterooms have en suite bathrooms, a TV, DVD and CD player. 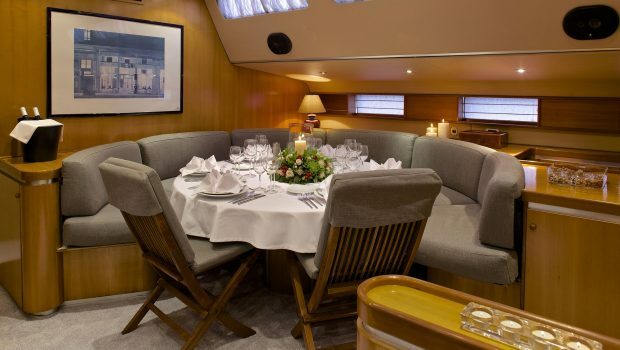 There are two separate salons onboard as well as a full dining room. 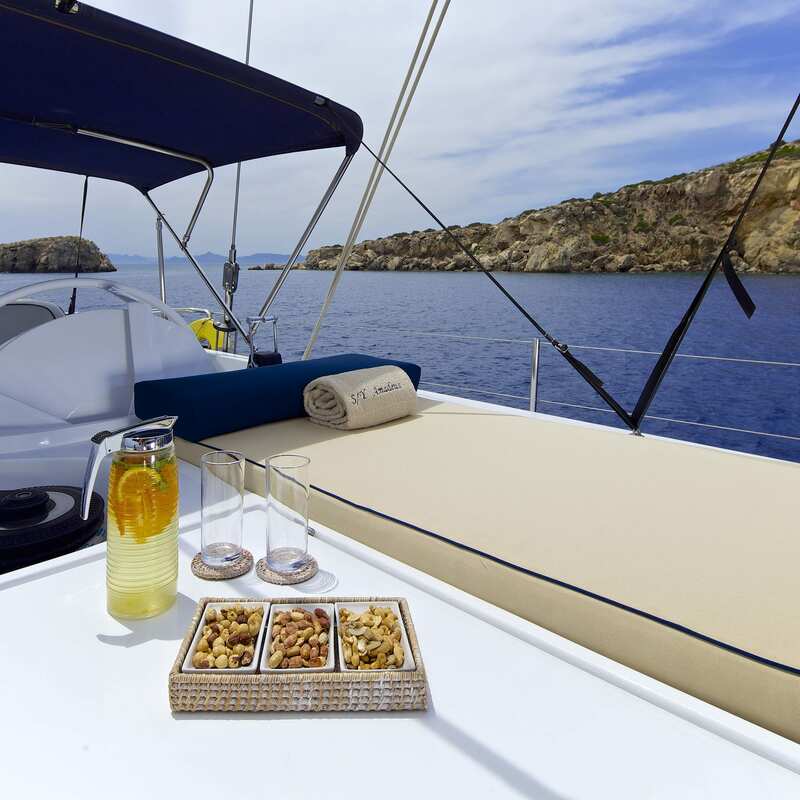 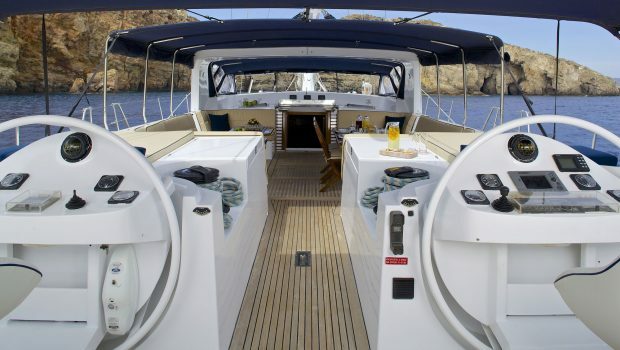 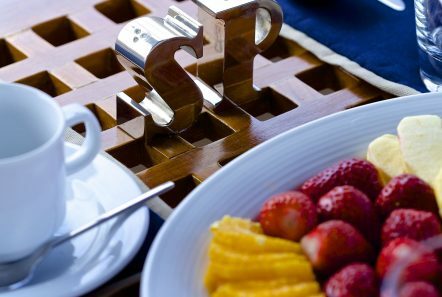 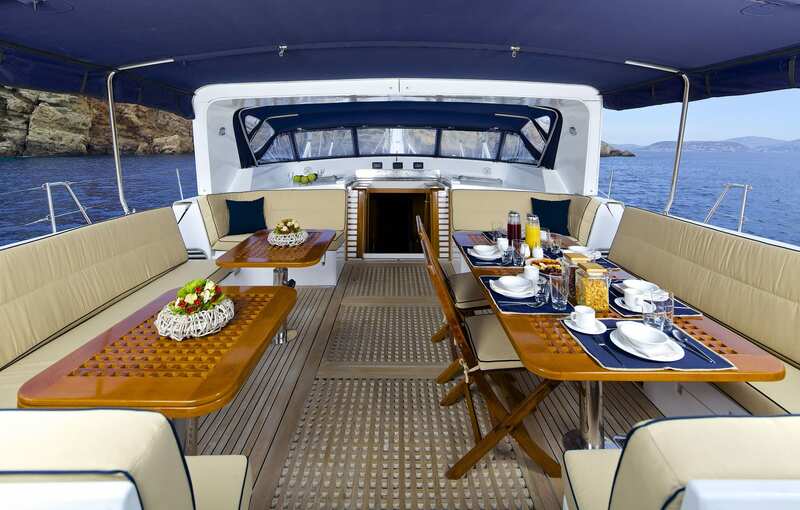 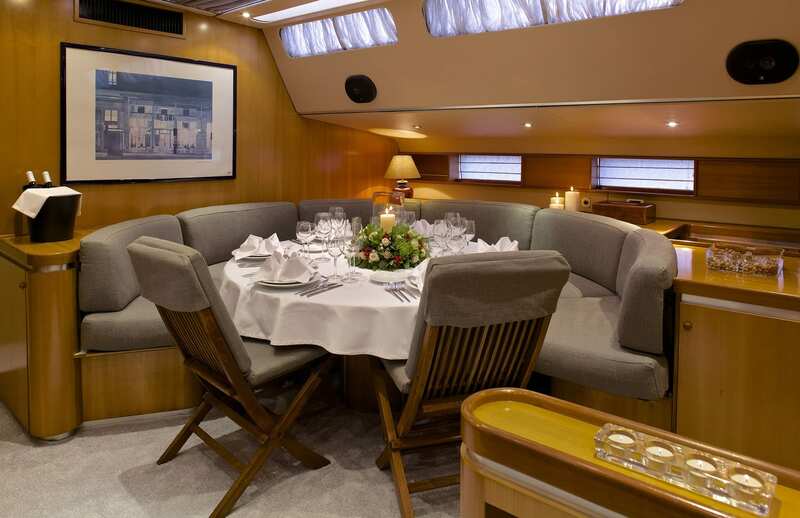 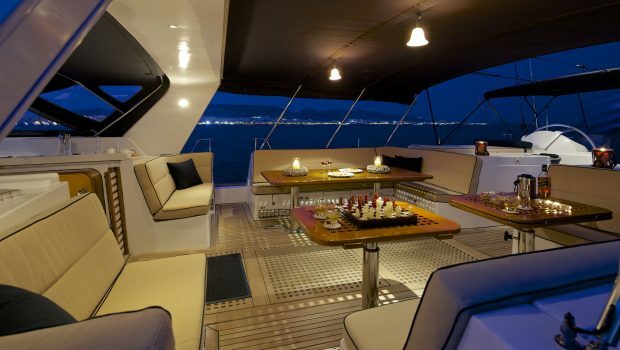 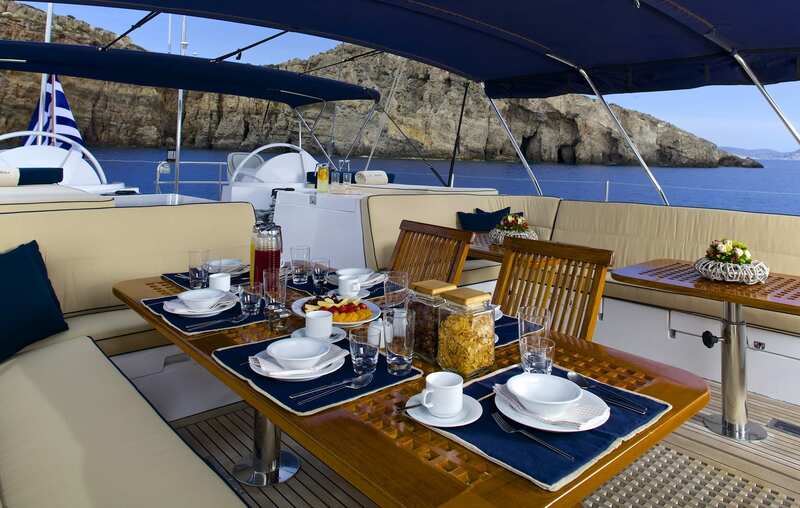 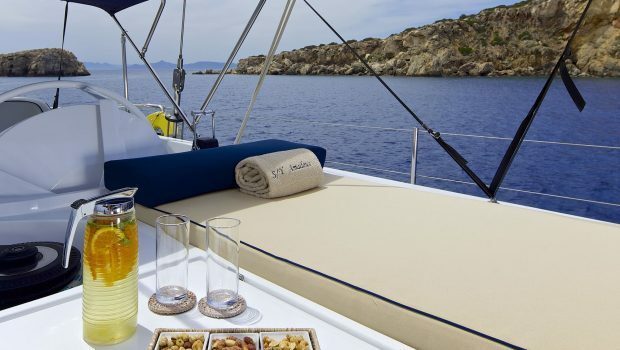 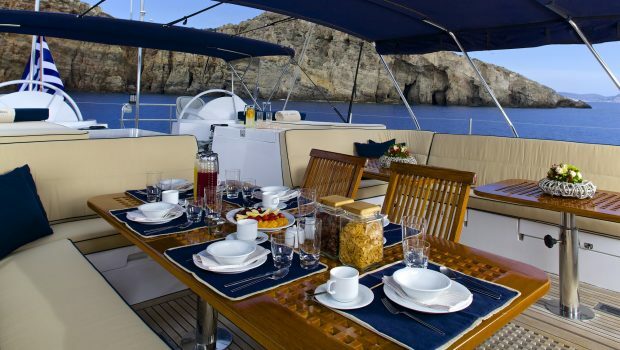 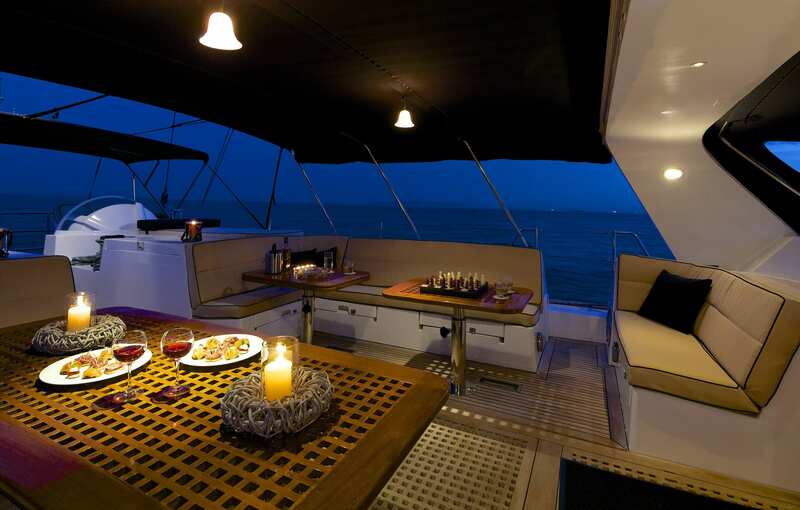 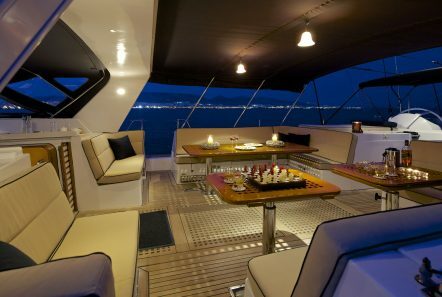 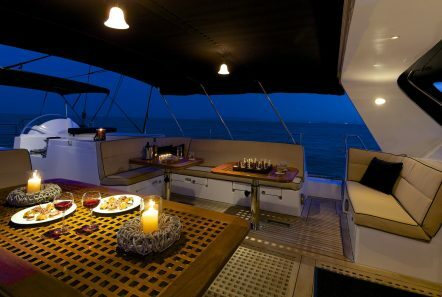 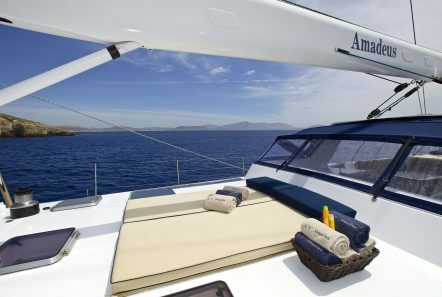 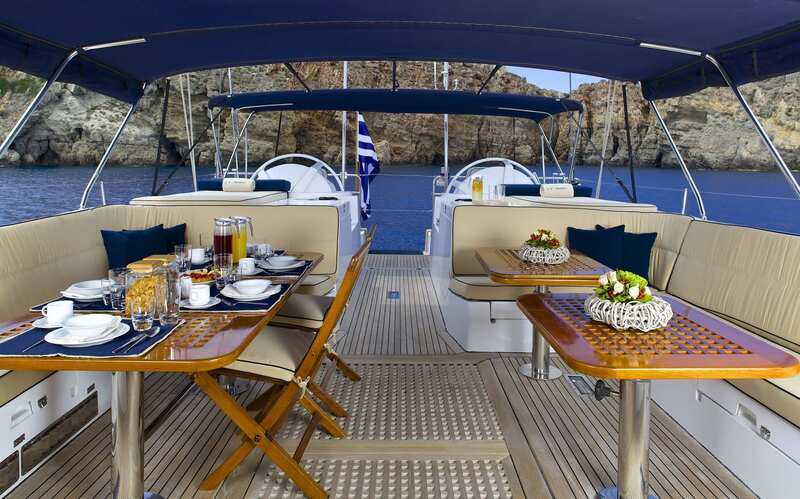 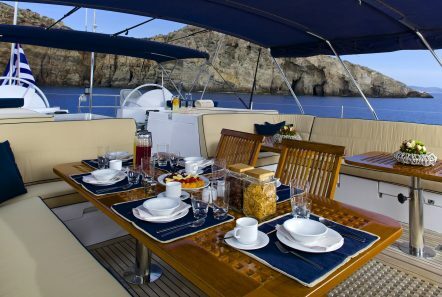 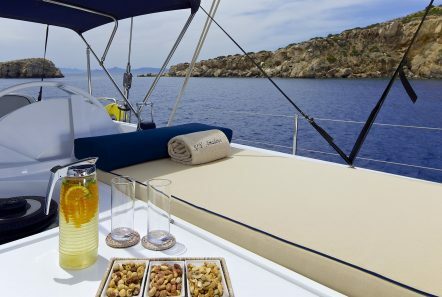 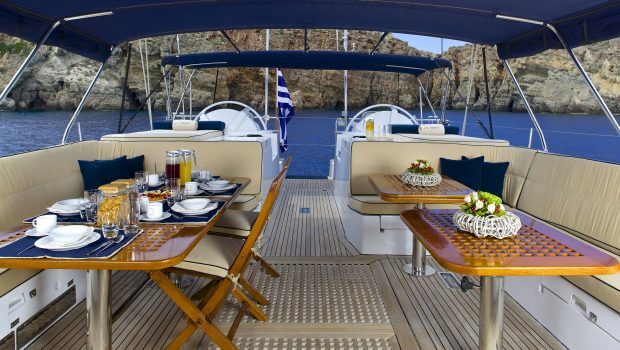 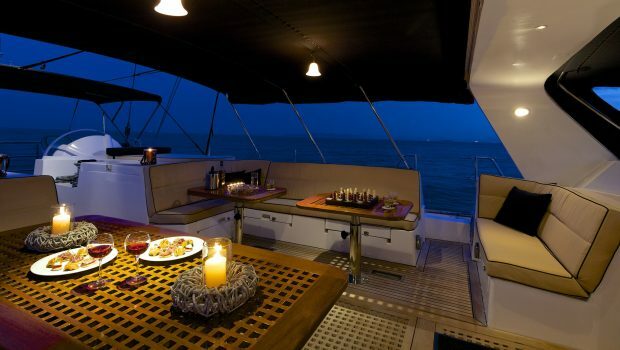 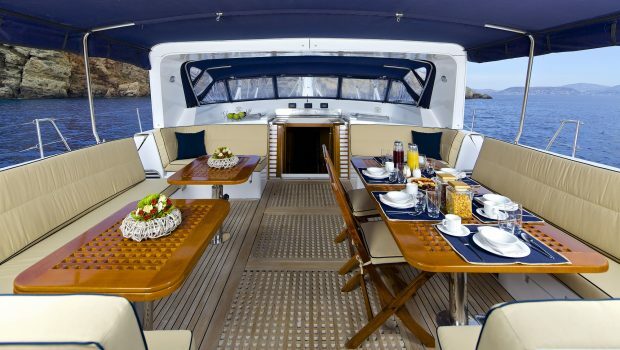 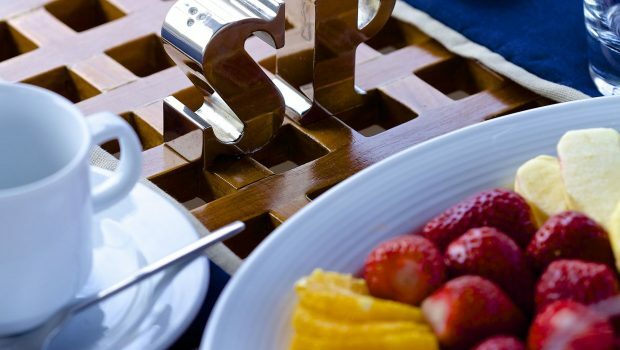 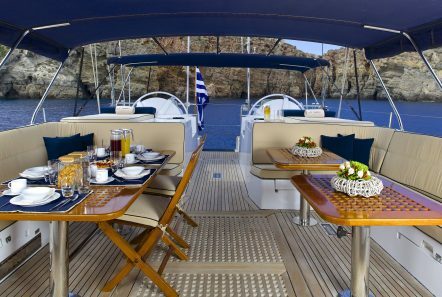 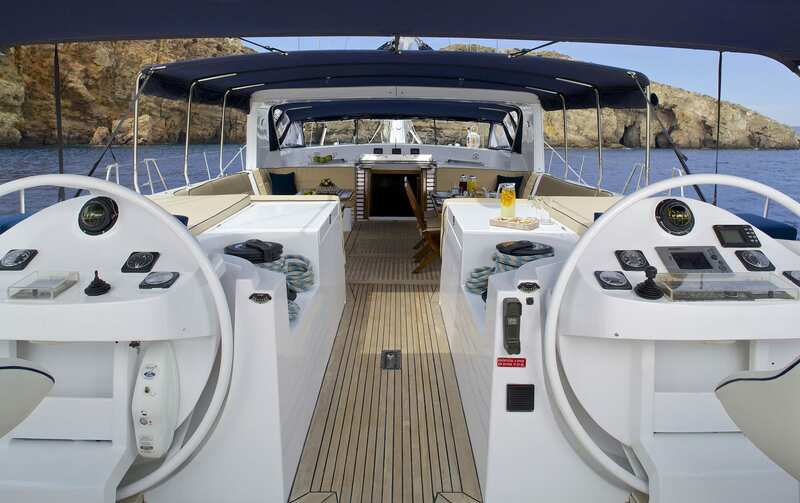 The aft deck is fully covered and has seating for all guests to dine in the open air. 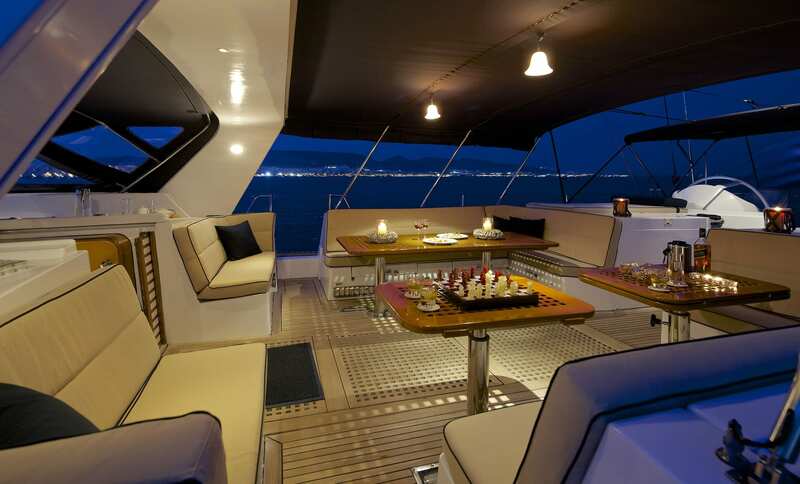 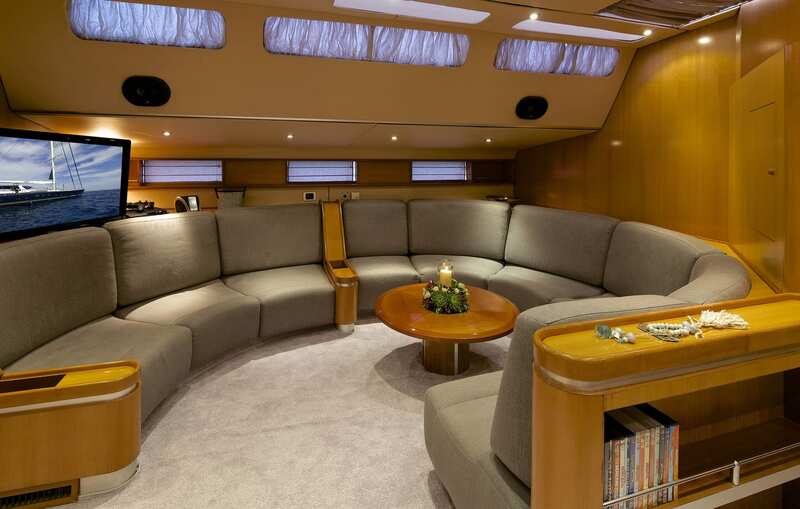 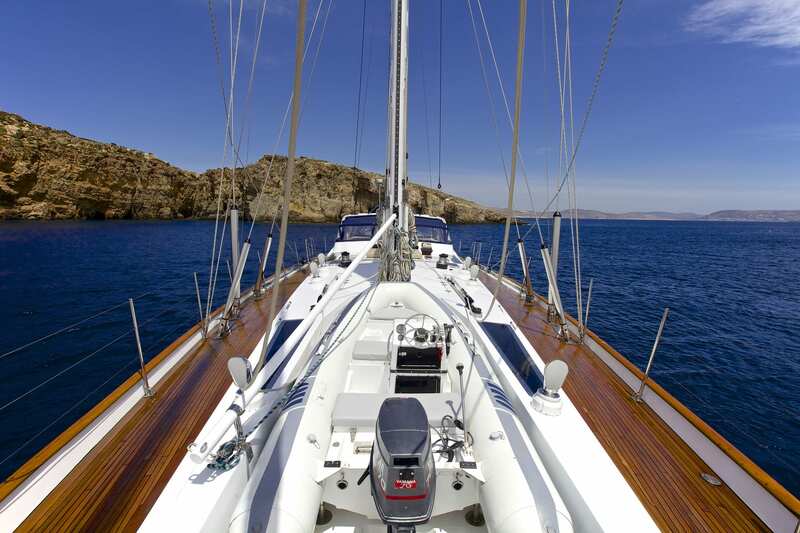 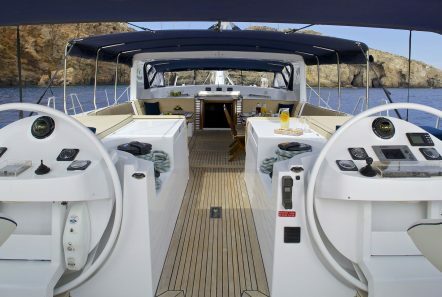 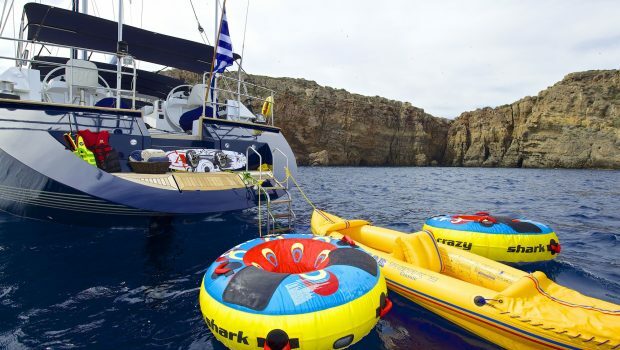 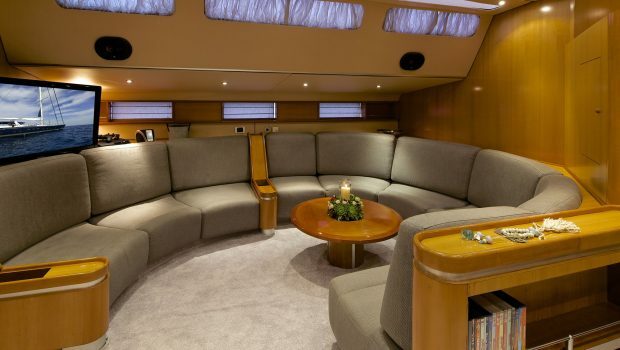 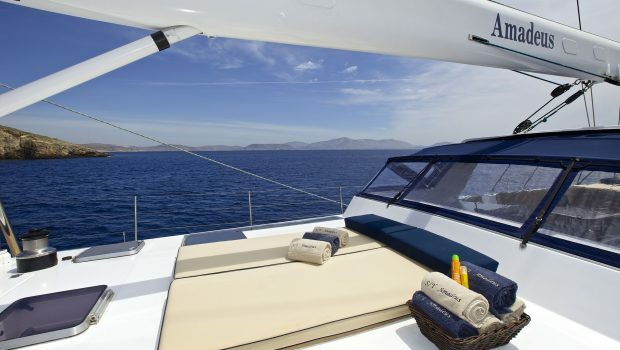 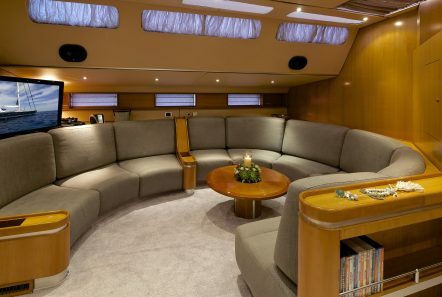 Forward of the cockpit is a lovely cushioned area for sunning and an unusual pool is found in the fore of the yacht. 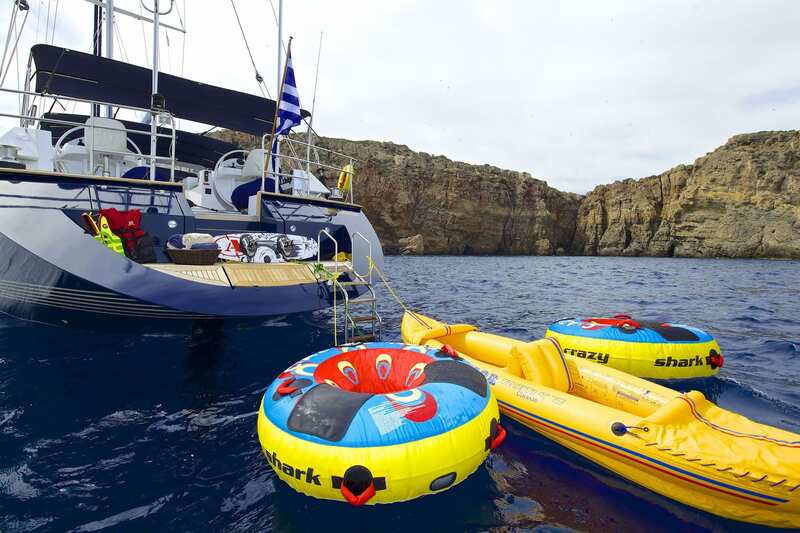 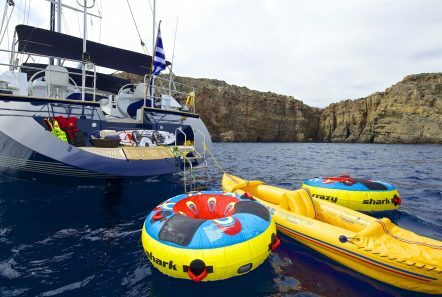 Swimming in the sea is made accessible by the large swim aft platform.